Author: MacDonald, Laura M. Set In . . . The events of the horrific Halifax explosion are well documented: on December 6, 1917, the French munitions ship Mont Blanc and the Belgian relief ship Imo collide in the Halifax harbour. Nearly 2,000 people are killed; over 9,000 more are injured. The story of one of the world’s worst non-natural disasters has been told before, but never like this. 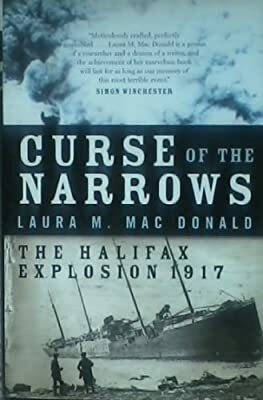 In a sweeping narrative, Curse of the Narrows tells a tale of ordinary people in an extraordinary situation, retracing the steps of survivors through the wreckage of a city destroyed, told by an author who grew up in Halifax, and whose grandmother survived the explosion.